You can buy a Cisco 2950 switch or any other model of Cisco switch, turn on the power, and plug in the Ethernet cables to your computers, and the LAN you just created typically works just fine. There is no need to ever perform any specific configuration on the switch. However, you will probably want to configure the switch and possibly investigate and troubleshoot problems when they occur. 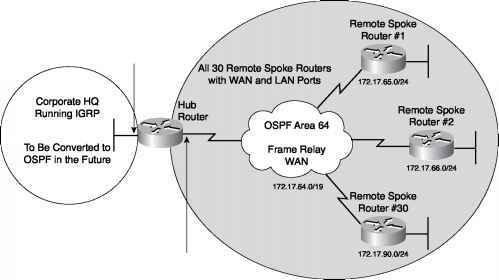 So, knowing how to configure and troubleshoot a switch can help you in almost any networking job. The nice advantage when learning about the 2950 series of Cisco switches is that many of the details of how they operate are just like those of a router. Of course, a switch does things differently than a router, but the basics—how to access the switch, how to configure it, and so on—pretty much work like a router. So, this chapter covers the similarities with routers only briefly, but gives you more detail about anything unique to using the switches. The first section of this chapter focuses on the features, functions, and processes used to install, configure, and operate a 2950 switch. It starts with the basic 2950 series of switches and how to perform some simple initial configuration. After that, you will learn how to access the switch command-line interface (CLI). When you are in the CLI, you can configure the switch, issue commands to find out how the switch is working, and update the software in the switch. The second section of this chapter focuses on the basic commands used to configure and operate the 2950 series of switches.